Welcome to the Waterford Birds website,which aims to provide comprehensive up-to-date and archival information on the birds of County Waterford (Ireland). See main menu (above) for detailed contents or below for latest news etc. Please text any notable sightings to 0861701599 (email photos or other records), and also consider contributing records to BirdTrack, the National Biodiversity Records Centre (including Mammal Atlas), the Irish Whale & Dolphin Group, and waterfordwildlife.com. 5 SPOONBILLS, Dungarvan, LITTLE AUK, Dungarvan, 6 White-fronted Geese, Blackwater Callows, 28 November 2015. RED-BREASTED FLYCATCHER, Tramore Brownstown Head, 31 October - 15 November. Recent reports to 2 December 2015 (August-November backlog in preparation). Video footage - latest addition BONAPARTE'S GULL 2 November, HOOPOE 16 September, Yellow Wagtail 13 September, Pectoral Sandpiper 23 August. Website policy on rare breeding or other vulnerable species: Click here for details. Irish birding lists online: BUBO.org, Surfbirds.com. Find a grid reference: See www.gridreference.ie/, zoom & click location on map - useful when reporting sightings. Online OSi map resource: Click osi to zoom in on Ordnance Survey maps and satellite images for Ireland. 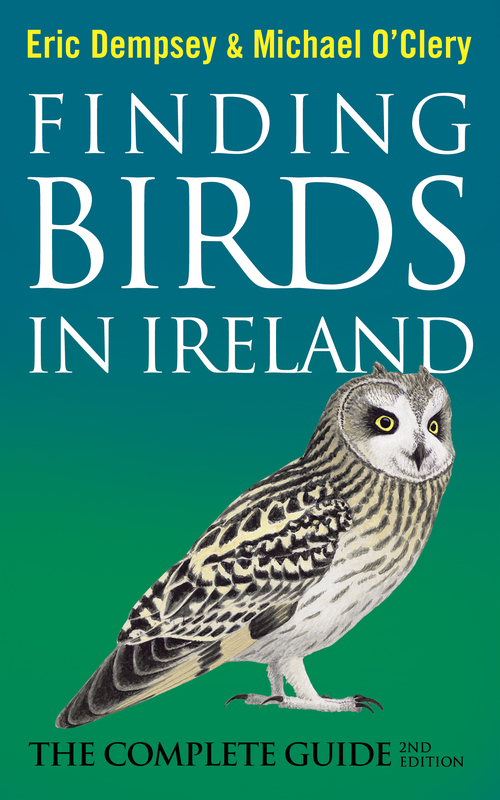 Finding Birds in Ireland (2nd edn): The updated & expanded second edition of this very useful guide by Eric Dempsey and Michael O'Clery provides details of birding opportunities at almost 550 locations throughout Ireland, including 21 Co Waterford sites. 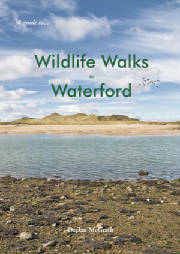 €19.99 from most bookshops, or currently €15.99 plus postage from the publishers, Gill & Macmillan. Waterfordbirds on Twitter: A Twitter news service (waterfordbirds @watbirds) is now available for rapid circulation of bird news highlights for the county - sign up here to follow. See also @BrownstownBirds for Brownstown Head sightings. BirdTrack App: For details of the free BirdTrack app for Android & iPhone, click here - upload records from the field, including GPS coordinates. All records are available to local/county bird recorders if you select that option when registering for BirdTrack (please do!). 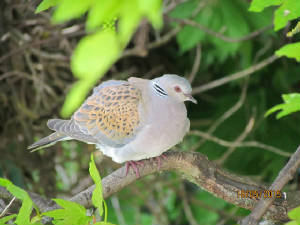 See also the new BirdTrack home-page. 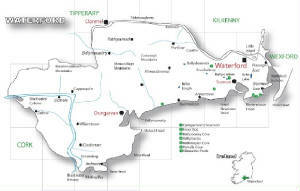 WATERFORD BIRD ATLAS: Fieldwork for the national Bird Atlas 2007-11 project is now completed, but the Waterford Atlas (planned for publication in 2014) will also include records up to July 2013. Waterford records (preferably for 2-km tetrads or with an OS grid-reference) can be entered for those seasons via the BirdTrack website, or submitted to atlas @ waterfordbirds.com. Other records submitted to waterfordbirds will also be used. Patch Birding challenge: For details see patchworkchallenge.blogspot.co.uk including the Irish 'mini-league' (patchbirdingireland.blogspot.ie/). Bird records - general request for sightings: The website compilers are always interested in sightings - not just of scarcer migrant or winter visitors, but also counts or confirmed breeding records of commoner species. Of particular value are sightings of uncommon residents like Barn Owl (precise breeding locations of sensitive species will not be published online or elsewhere). In addition to any records included on the website, all records will be added to a larger database of Waterford sightings, to help with ongoing assessment of local bird status (see What to report?). Please email any sightings (recent or from any year), or digital photos, to the website compilers. We would also encourage you to sign up and contribute records to the online BirdTrack recording scheme covering Ireland and Britain. Click here for a list of those who have submitted records, photographs or other items since the website went online in September 2004 - many thanks to you all.